Sydenham Street United Church, constructed in 1852, is a downtown church and city landmark. It’s the limestone church with the tall spire located in historic Kingston, Ontario. 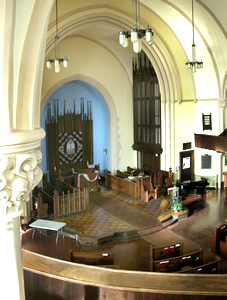 The congregation, founded in 1811, was one of the first Methodist congregations in Upper Canada, and is now part of The United Church of Canada. In 1925, three Canadian Protestant denominations, the Methodist, Congregationalist, and two-thirds of the Presbyterian churches in Canada amalgamated to create The United Church of Canada through an Act of Parliament. Until the end of 2018, the United Church was organized as a set of Conferences, each consisting of a series of Presbyteries. That system was replaced by 16 Regional Councils. A regional council is an administrative grouping of communities of faith in a local area. Laypeople and ministers meet to oversee the work of the church within each region. 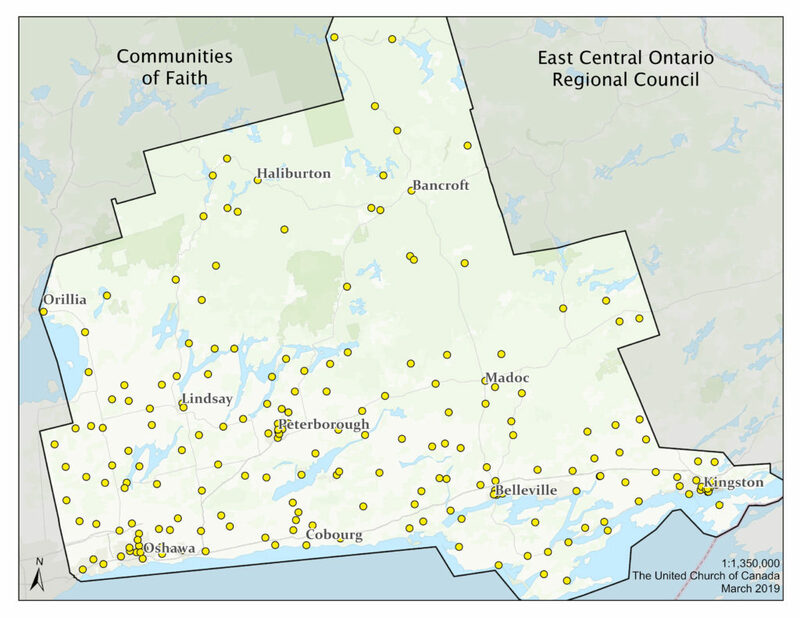 SSUC is a member of the East Central Ontario Regional Council (ECORC) which covers the area of Southern Ontario east of Toronto to Kingston. Affirm United is an organization of people of all sexual orientations and gender identities within The United Church of Canada, working to provide the full inclusion of gay, lesbian, bisexual, and transgender people in the church and in society. We believe that all people are created in the image of God and are unconditionally loved by God. The Foundation (see unitedchurchfoundation.ca) helps generous people sustain the work of The United Church of Canada, its congregations and its partners, in life and beyond. It grants funds to God’s works of faith, community, healing, peace and justice at home and abroad. We grant funds to God’s works of faith, community, healing, peace and justice at home and abroad.